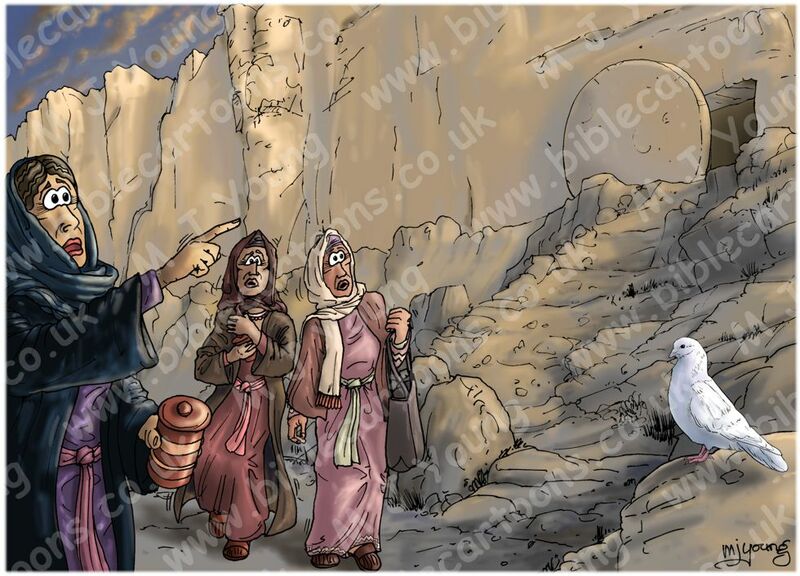 Bible Cartoons: 3 more Bible Cartoons added to the Easter collection! 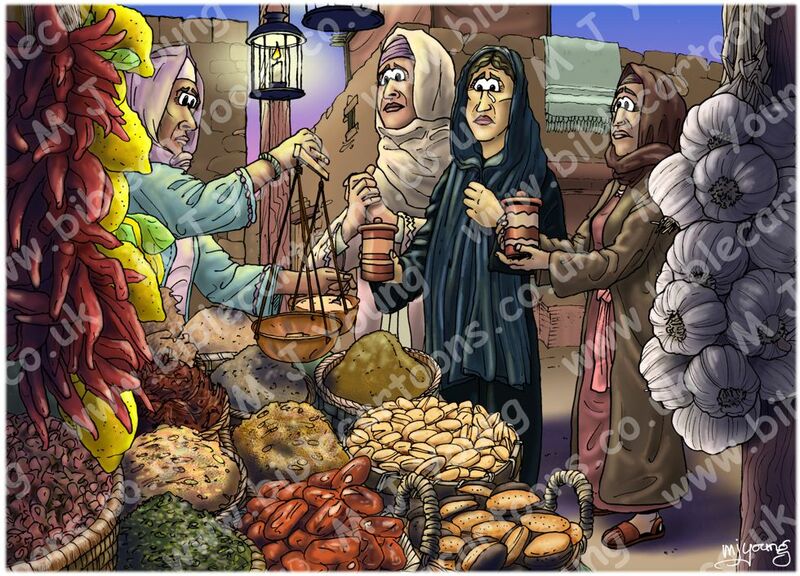 I have added the 3 pictures above to the Special Easter Collection, but still at the same price, so it is EVEN BETTER VALUE than before! This hugely discounted price is to support Pastors, church leaders, evangelists, sunday school teachers, R.E. 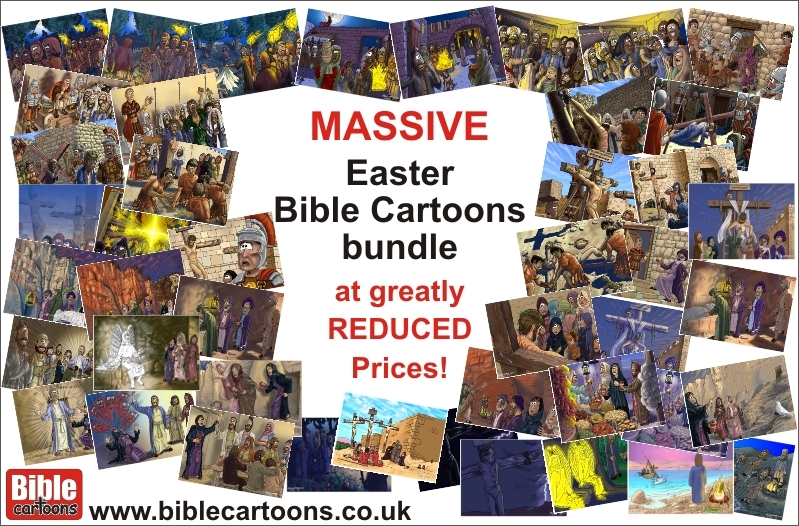 teachers & others, who want to use my Bible Cartoons to get across the great message of Christ’s sacrifice, death & resurrection during the Easter period. The Easter message is the most important Christian message there is: that God Himself came to earth in the form of Jesus the Christ, in order to create a spiritual pathway & access for us to God the Father. 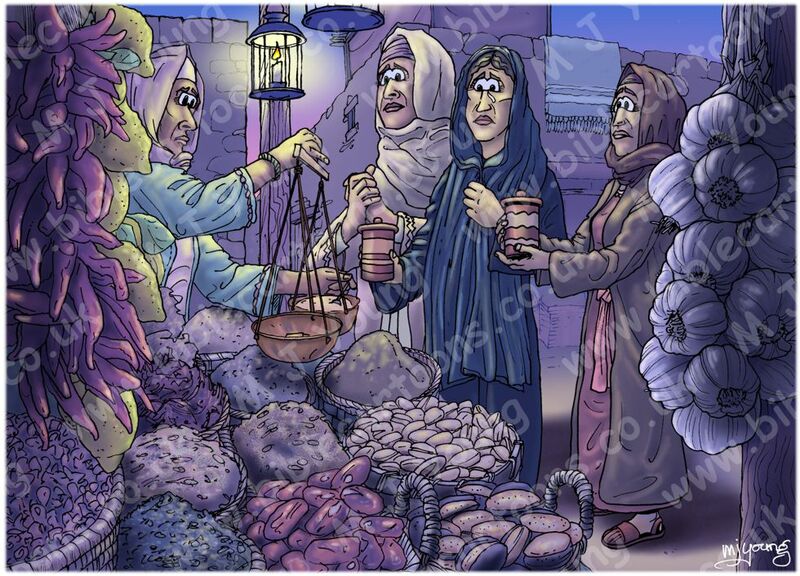 I sincerely hope that my Bible Cartoons can be part of many church’s Easter message to a suffering world that needs to hear about Jesus.